Elliott Sigal, M.D., Ph.D. joined NEA as a Venture Partner and Senior Advisor in 2014. He is a former Executive Vice President and Director of Bristol-Myers Squibb, and served as Chief Scientific Officer and President of R&D for Bristol-Myers Squibb from 2004 until 2013. He was a principal architect of the successful Biopharma Transformation Strategy of the company. He has been instrumental in increasing R&D productivity, developing the company’s strategy in biologics and acquiring external innovation in Bristol’s String of Pearls initiative. Under his leadership, fourteen new medicines have come to market including Abilify (Schizophrenia, Bipolar Disorder), Reyataz (HIV/AIDS), Erbitux (Colon Cancer), Baraclude (Hepatitis B), Orencia (Rheumatoid Arthritis), Sprycel (Leukemia), Atripla (HIV/AIDS), Ixempra (Breast Cancer), Onglyza and Kombiglyze (Diabetes), Nulojix (Transplantation), Eliquis (Anticoagulant), Yervoy (Melanoma), and Forxiga (Diabetes). Among his accomplishments in various therapeutic areas was building BMS research into a lead position in the promising area of immuno-oncology. In 2012, Dr. Sigal was named the best R&D chief in the pharmaceutical industry by Scrip Intelligence. 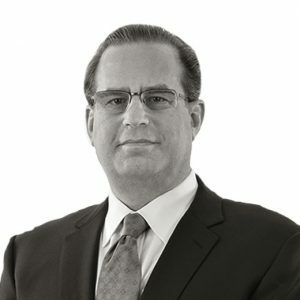 Dr. Sigal currently serves as a senior advisor to the healthcare team of New Enterprise Associates and also consults for select biotechnology companies. Dr. Sigal received his M.D. from the University of Chicago in 1981 and trained in Internal Medicine and Pulmonary Medicine at the University of California, San Francisco (UCSF). Prior to medical school he studied engineering at Purdue University, where he received a B.S., M.S., and Ph.D. Dr. Sigal serves as a member of the Board of Directors of Adaptimmune, Spark Therapeutics, Mead Johnson Nutrition Company, and the Melanoma Research Alliance. He is also a member of the Scientific Advisory Board for Surface Oncology and the Scientific Steering Committee for the Sean Parker Institute for Cancer Immunotherapy.